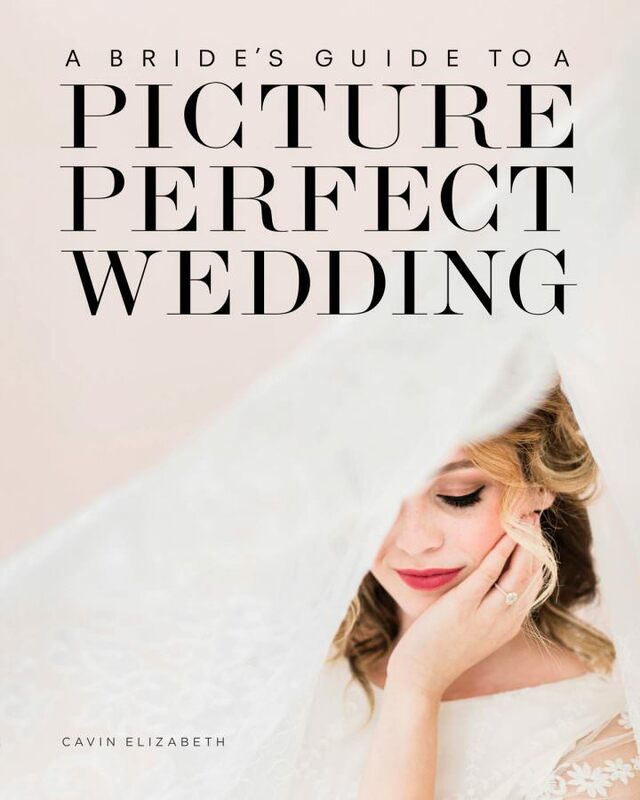 It’s been a while since I blogged about my own wedding planning. The last piece I shared was from our own engagement session at Balboa Park. If you haven’t seen it, definitely check it out next! 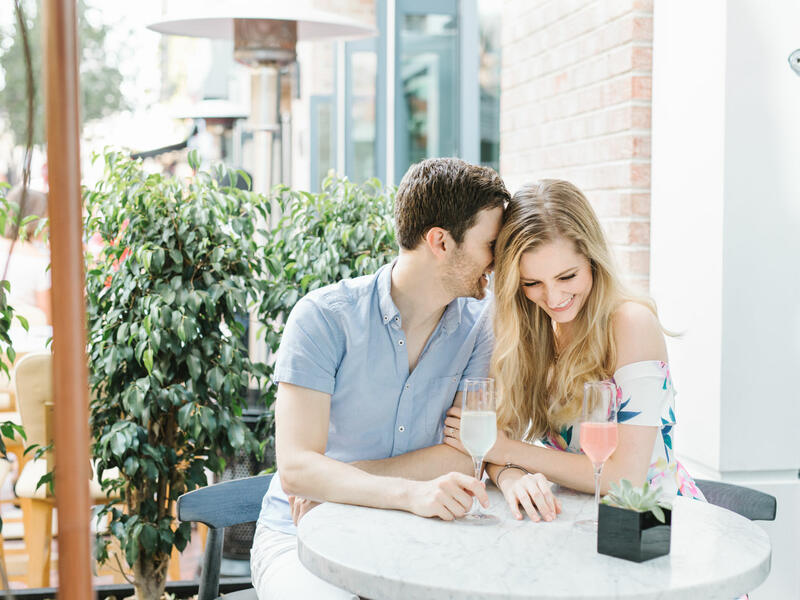 Today I’m sharing photos of the save the dates and color palette for our wedding day. 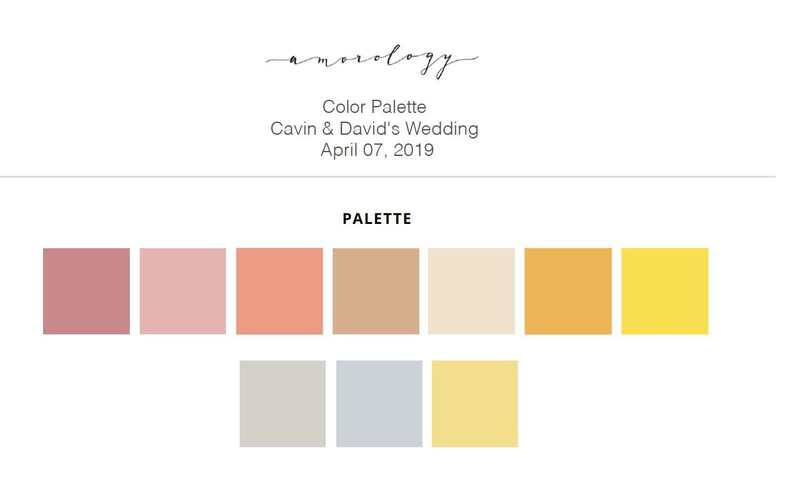 My designer and planner Amorology helped us put together a color palette from my inspiration board. I wanted tons of color with an abundance of pinks and several accent colors, including soft blues, yellows, and apricot. As much as I love neutrals, for my own wedding I crave sophisticated pairings of color. 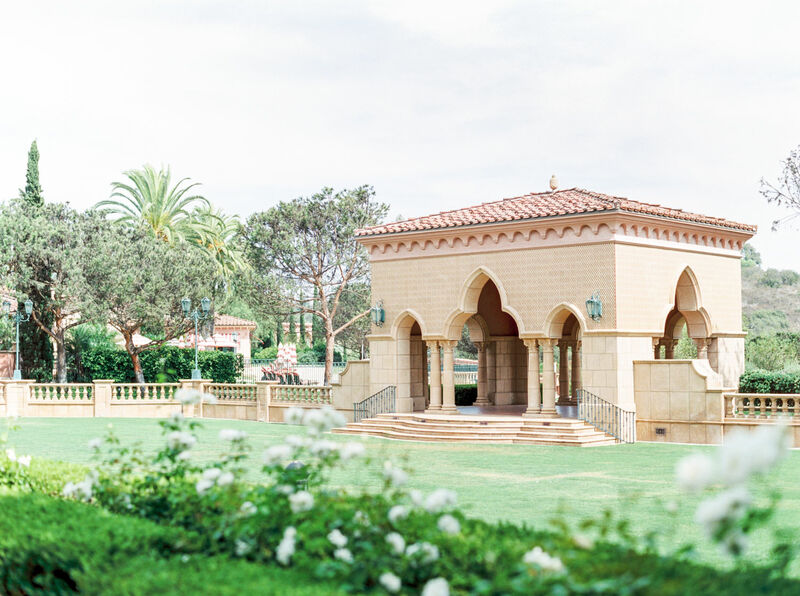 Our reception will take place on the lawn of the Fairmont Grand Del Mar whose pink walls will tie in beautifully with our color palette. Our lovely stationery designer Twinkle and Toast created the most beautiful save the dates for our wedding. 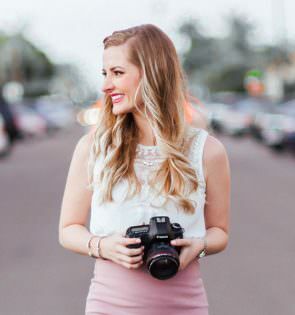 We sent her our color palette and a handful of inspiration images and she totally nailed the design! 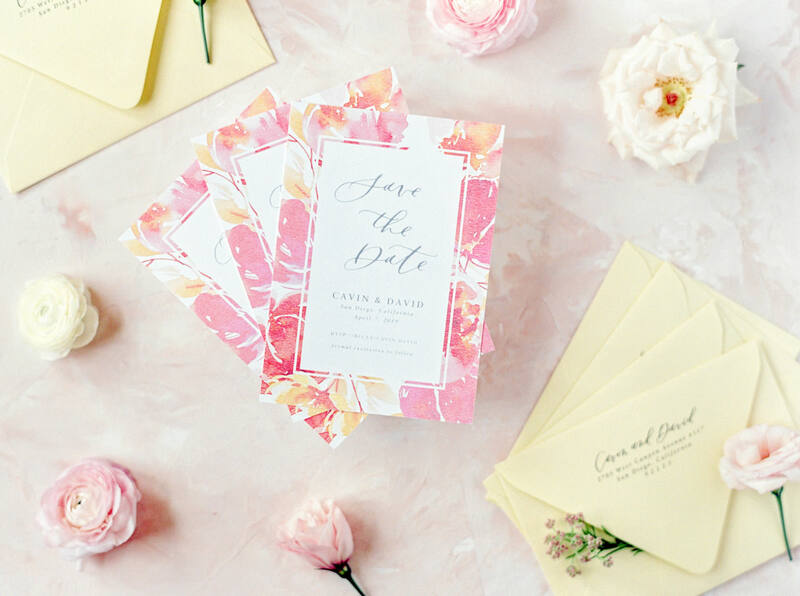 Plus, she paired them with stunning soft yellow envelopes so that our guests would have a unique envelope to open with the card. On the envelope, digital printed addresses were applied to the front and our digitally printed return address was placed on the back. It was such a delight opting for that service to save our hands and fingers from writing everything out! While I won’t be sharing any images of my fun wedding gown, I did create a video with a few hints about its design and colors. Yes, you read that right. My gown will not be white, as I am just not a white dress kind of person. I wanted to honor my personality and my love for couture fashion on my wedding day, so I’m thrilled with the gown that I’ve chosen! Stay tuned for April for photos of the actual dress I’ll be wearing!